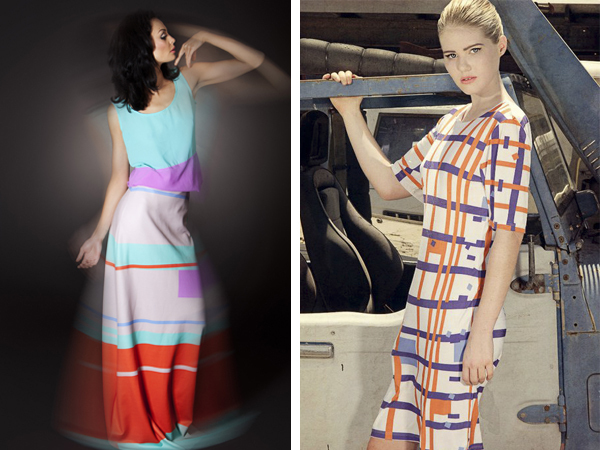 FK chats Brisbane based to Erin Lightfoot about her art-deco inspired label and new jewellery range. Can you tell us about your self titled label, and what we can expect to discover? I am a print designer who decorates the decrable with colour and shape. 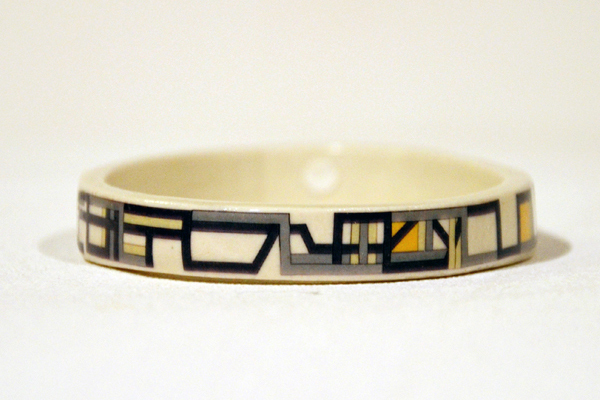 My work tends to be abstract, art-deco inspired, asymmetrical and patterned. I’ve worked on fashion, swimwear and upholstery projects. 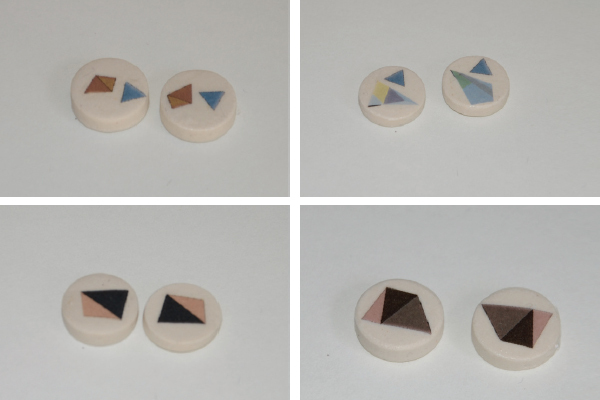 My latest venture is a porcelain accessories range which I’ll be selling at the Brisbane Finders Keepers Markets. What is your creative background and how did you end up where you are today? I was raised in a creative family so creative projects have always featured in my life but studying formally helped me a long way. I started out studying graphic and web design but soon realised I was never going to develop a passion for coding so sought other avenues. Happily I found my way into a fashion design degree at QUT which was brilliant but the thing that really clicked for me was print design. 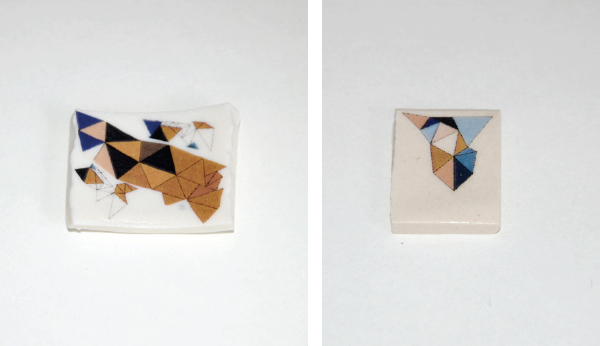 I took electives with the art department in print making which I loved, then in my final year of uni I discovered the possibilities of digital prints. I designed all the fabric for my graduate collection and I’ve been building on that since. Where do you find inspiration and what are your favourite websites & blogs? I find inspiration by looking at the hard work of other artists and thinking “I want to be good too”! I get ideas all over the place from looking at pictures, or objects or colours… but mostly from mulling things over for a long time and trying things many times before I get them right or rightish. You also do interiors! Can you tell us a little more? Yes, it’s early days but I have lots of hopes and ideas! I’ve been re-upholstering furniture and making cushions but I’d love to design wallpaper, murals, bedding…all manner of things. The more projects I do, the more I want to cover everything with prints. What treasures can we expect from you at the upcoming FK markets? 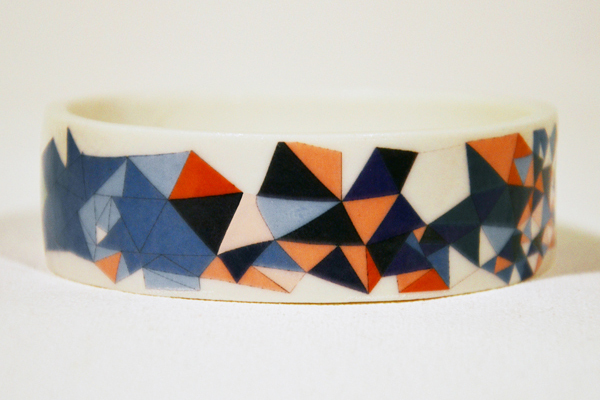 Colourfully glazed porcelain bangles, earrings, brooches and necklaces…all shiny and smooth. Well I once read in someone else’s advice bit that “ideas don’t keep, something has to be done about them”. I do think that if you wait for the right time or until you’re ready to do something, there’s a chance that time will never come so it’s best just to jump in and panic later. I find that ideas feed on ideas and…practice makes better. Where can I buy this beautiful jewellery?? Only at the FK markets? 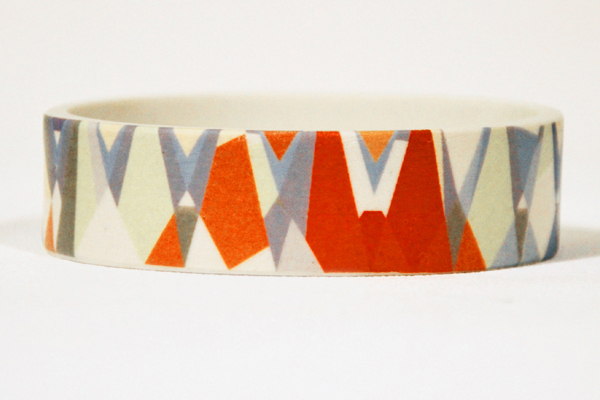 Love, love, love the geometric patterns! Makes a nice step out from the huge floral trend that’s been hanging on for a while now. Beautiful prints. Unique and special and amazing and and and!!! Erin, when you were describing these to me I didn’t realise how incredibly lovely they’d be. Well done to you. 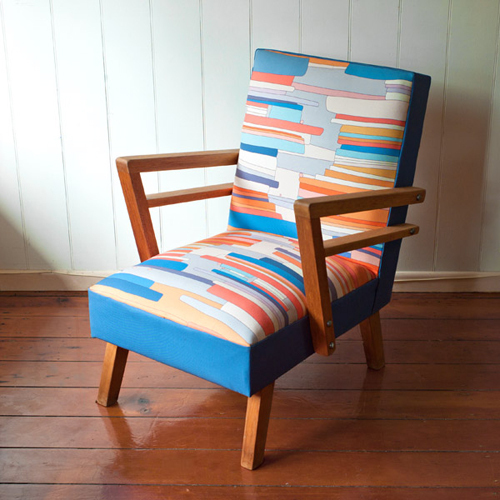 Now next time you’re in Canberra, I have this chair that needs some new fabric…. Wow! Amazing! I love it! Absolutely outstanding ,fresh and wanty wanty : ) Fashion hasn’t been this chic since PanAm. You got it all going on……FABULOUS DARLING !! !